thanks for the comment sweetie, what a lovely blog !! What an adorable top! Goes perfectly with your lovely red skirt! All the best for your interviews next week!! 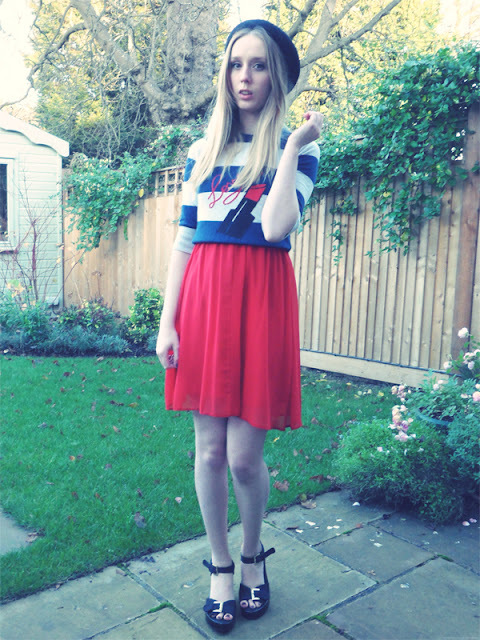 i love the red skirt! im thinking of wearing a similar outfit tomoorow! your outfit is adorable! i especially love your skirt!!! thanks for stopping by my blog! i hope to see you back, soon! Your lipstick jersey is the cutest ever <3 and I love love love your skirt! You look so cute in this outfit :) Love the skirt especially! 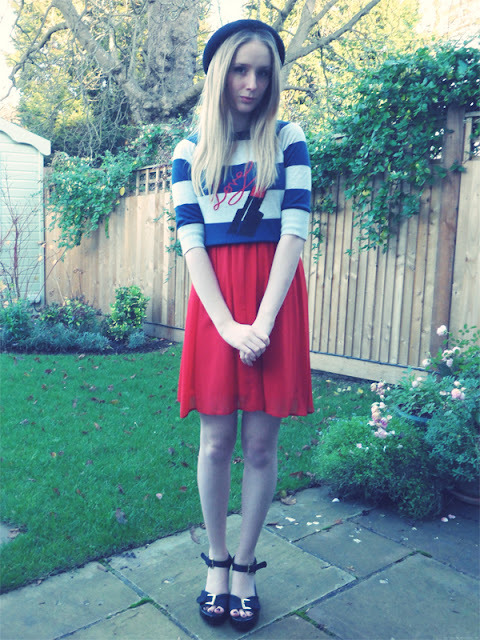 i adore the red skirt, bought mine online and i haven't been shopping for presents just yet. i dislike the holiday rush. Good luck with your interviews! And I love your outfit. 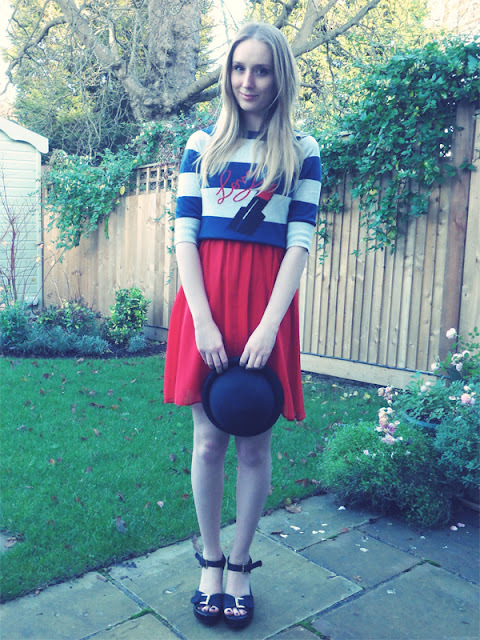 This outfit is definitely very French - I love it! I've been doing a lot of my Christmas shopping online too... anything I can do to avoid the craziness of the mall! And I love that red skirt. So chic. This outfit is so cute!! 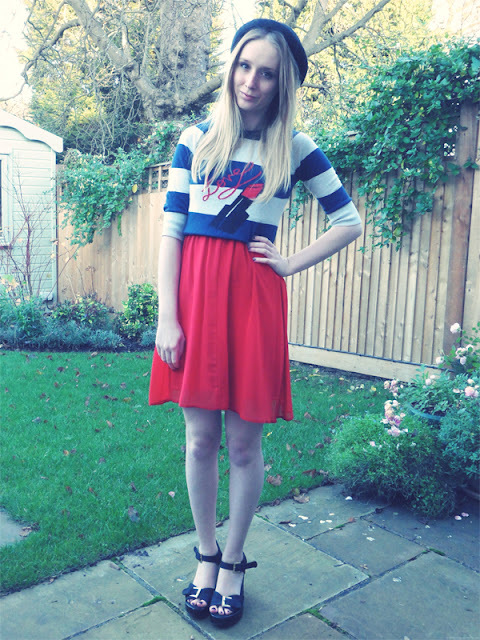 I love that top, and the lipstick pic on it :) I love the classic colour combination of white, blue and red. Great post! thanks for comment me! following u too! And the banner is sooo pretty!! Lovely job! Thanks for visit!!!! Beautiful look.